Would you mind talking a little about your creative journey? Have you always gravitated towards the written word? Do your friends and family support your work? With my mother’s help, I began keeping a journal at a young age—it’s filled with entries from my early life, including stories that I “wrote” before I even knew how to write: pages of zigzag lines and scribbles, interspersed with the few words I could spell at the time. The word “nut” appears frequently. As does the word “word,” which I usually paired with a drawing of a bird with stick legs and a speech bubble coming out of its mouth. And so, yes, I have always gravitated toward the written word, and my mother especially played an instrumental role in the development of that relationship. Language, textual language in particular, has always held a particular magic for me; that a written record can become a thing in itself; that experience, translated into writing, can become a life that others can enter—for an imaginative, deeply interior child, what else could be more magical? You described Isako Isako as a study of the way “One can move through these collapses (of generational time [and] geographic space) and these moments in history, that bind us all together.”—could you talk a little bit about how these ideas worked their way into the collection and why they were so important to explore? If you had to describe your own poetry in a single sentence what would it be? Sometimes I wake from a deep sleep to find that existence has shattered into a blinding field of light—and I weep from grief, from love, from inexpressible joy. We loved what you said in your Poets & Writers ‘Recommends’ feature: “In this, as in life, I hold to the belief that certain things—poems, faith, marriage, the writing life—only exist insofar as one lives them.” How important is it to you that you locate and grasp the reality of a moment or situation? I’m so glad you read that piece! I loved having the opportunity to reflect on my writing life, and Jessica Kashiwabara is a fabulous editor. I suppose what I meant by that comment is that in order to make a thing so (a marriage, a poem, a writing life), one must live as though it is already so. Developmental psychologist Alison Gopnik argues that we don’t care for our children because we love them; we love them because we care for them. This sounds counter-intuitive, but when I examine my experience of mothering, I recognize the truth of Gopnik’s insight. My sense is that by embracing the outer life of a thing, by ordering one’s life and loyalties around it, paradoxically, its inner life flickers into being. Like lighting a candle—one doesn’t simply sit before a stripped wick and wait for it to flame. One strikes a match, holds it against the dark, touches flame to wick. It’s a way of living the faith, of acting on the belief that a poem—or anything else—can and does exist, even if it does not yet possess that inner life. And to your question about the importance of grasping the reality of a moment—gosh, I wouldn’t be who I am if I didn’t value that truth over everything else! I don’t feel I’ve truly understood an experience unless I’ve examined it via my contemplative/textual life, which is a big part of why I’m driven to write. How important is it to immerse yourself in the local creative community? This is where I plug two of my most beloved communities: Kundiman, a national organization dedicated to the cultivation of Asian American writing; and The Ruby, an arts-based workspace in San Francisco. The Ruby, brainchild of novelist and food writer Rachel Khong, is a workspace for women of all definitions in the Mission district of San Francisco—and my creative home in the Bay Area. Among its membership are food writers, entrepreneurs, academics, oral historians, journalists, photographers, musicians, editors, sculptors—and that’s only a brief listing! I go to The Ruby for camaraderie, for good food, for creative retreat and respite, and for fresh creative energy whenever I need it. And Kundiman, though based in New York City, has a vibrant Bay Area chapter of poets, novelists, and essayists, many of whom are also associated with The Ruby. As I’ve launched my book this fall, amid various misreadings of my poetics and of my cultural history, I’ve found conversations with Kundiman writers to be my refuge. It’s one of the few spaces where I don’t have to explain or legitimize myself. I’ve talked about this in other places—the ‘Recommends’ feature from Poets & Writers you cite earlier in this interview, for example—but my days are mostly dedicated to my children, with a few designated hours for writing and writing-related work. I’m fortunate to have a partner who values my work as much as his own, and so we prioritize my writing life in such a way that ensures that I have at least three days a week to write. Otherwise, by the end of the day, I’m so depleted by nonstop childcare that there’s no chance I can write. Which is why I sit down with my poems first thing in the morning, immediately after drop-off. Or maybe I’ve mischaracterized how I feel at the end of the day. Not depleted, exactly, because I’m actually very full. When I’m with my children all day, I feel very full of them—their questions, their delight, the intensity of their engagement with me and the struggle to understand their rhythms and needs—so full, in fact, that there’s no space for my, and my most pressing need is to offload the many accumulated, undigested experiences of the day. Although what usually ends up happening is that as soon as the kids are asleep, I’m on email, trying to restore order to the thousand and one logistical matters that make up our family life. None of that offers space for writing or contemplative thought, which is why, more than anything else, those morning and early afternoon hours are so precious. Yes, on the whole; though it’s also true that my writing and thinking life is characterized by a constant, searching curiosity. There are always new books to read and conversations to enter, and I feel like I’m always stalking some elusive form, grasping after new ways to bring linguistic shape to experience. I also carry a constant sense of self-doubt—that I won’t make the next discovery, that my forms are futile or frivolous… but maybe, to be a writer or an artist, one can never be fully satisfied, lest one’s work begin to stagnate—something about yesterday’s bread not satisfying today’s hunger. And it’s true, I’m always searching for the next creative breakthrough, the next new thought. This is maybe why I’m a poet, because my attention span is short and tethered to the need for novelty, something I feel I can accomplish many times over in a succession of poems. And overall, I find this process very satisfying, though I wouldn’t say that it’s the sort of satisfaction that allows me to sit back on my laurels, much less rest on them! At the moment, I’m working full-time to launch Isako Isako , so there’s not much happening, writing wise! My next project is waiting in the wings, though, a collection of hybrid-genre meditations on the experiences of pregnancy and mothering. So far, I’ve written several chapbook-length sequences of fragmentary prose chronicling my second pregnancy and the birth year that followed; taken as a whole, the project explores the way motherlabor reconstitutes the elements of one’s being—ontologically, physically, metaphysically. And even though this next book isn’t as historically located as my first one or written in explicit response to family history, in a not-so-obvious way, I see it as a sequel to Isako Isako , mostly because it represents the next segment of my exploration of the Motherline. It turns from the history of my female line to the embodied experience of female lineage in my own life and, consequently, in the lives of my daughters. Read more from Issue No. 17 or share on Facebook and Twitter. 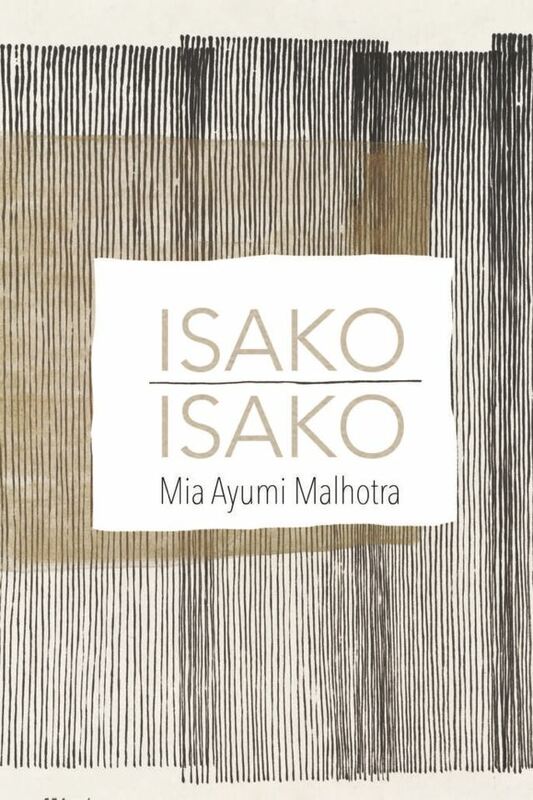 Mia Ayumi Malhotra is the author of Isako Isako , winner of the 2017 Alice James Award. She received her MFA from the University of Washington and is a Kundiman and VONA/Voices Fellow. She has been nominated for a Pushcart Prize and Best of the Net Anthology. Her poems have appeared in Poetry Northwest , The Yale Review , Indiana Review , and elsewhere. She currently lives in the San Francisco Bay Area with her family.